Fine grass species for a consistent playing surface. 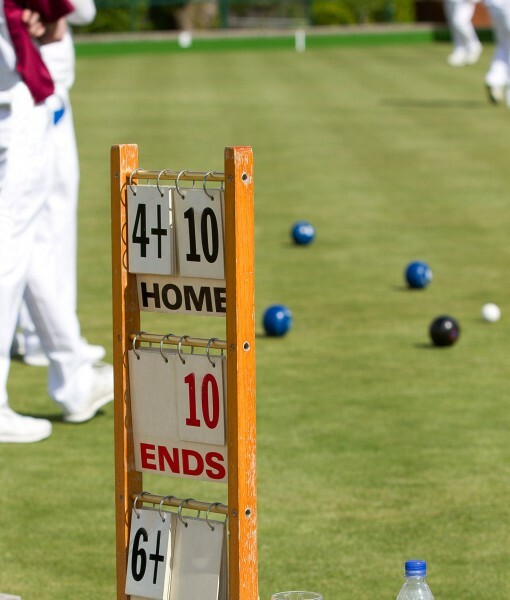 The fescues in our Bowling Croquet Lawn seed mixture are included to provide a temporary green cover whilst the very fine leaf, slower growing bentgrass becomes established. In time, the bentgrass will become the dominant species within the turf and slowly knit together between the fescue plants to produce a very fine, dense and presentable bowling croquet lawn. After initial establishment, cut in various directions to encourage maximum shoot density and to achieve equal and consistent ball travel across the playing surface. Frequent close mowing is the key to creating and maintaining the highest quality green. The area must be cut at least every other day, ideally with a good quality cylinder mower and be kept at a regular height of between 5mm-10mm. As with all lawn areas that are being regularly defoliated it is advisable to apply a good quality, slow release, compound fertiliser at least every 8 to 10 weeks during the growing season. Produce a firm, weed free seedbed clear of large stones and any other debris. Rake or harrow over the surface to create a thin layer of fine soil (tilth) approximately 10-20mm deep. Split the total quantity of amenity grass seed to be applied into two equal amounts. Apply the first half over the entire area either by hand or by using a broadcast spreader. Gently work most of the applied seeds into the tilth with a firm rake or harrow. Apply the remaining seed in the same way and again, rake or harrow most of them into the tilth. Finally, lightly roll or tread over the surface to squeeze the seeds and tilth down into the seedbed.This method ensures the amenity grass seeds are evenly spread, set at different depths and in good contact with the soil. All of which helps to anchor the seeds in position so as not to float away during heavy or persistant rainfall and to retain the correct moisture level for quicker germination. Amenity grass seed may also be surface sown however, germination may be uneven and significantly slower particularly during periods of prolonged sunny, dry or windy weather even with regular irrigation. Most orders placed before 1.00 pm (Mon- Fri) are dispatched the same day. Orders placed after 1.00 pm or on Sat/Sun are dispatched the next working day. *Outlying Areas, Highlands & Islands. Please allow 3 to 5 Working Days. Weekdays - 9:00am to 5:00pm.